The W.M. Keck Isotope Laboratory comprises three mass spectrometers and wet chemical labs all housed in a class 1000 suite of clean labs. The laboratory was inaugurated on 18th June 2004 following a substantial grant from the W.M. Keck Foundation for the purchase of a ThermoFinnigan Neptune multiple collector ICP-MS. The clean labs were extensively refurbished in 2015. 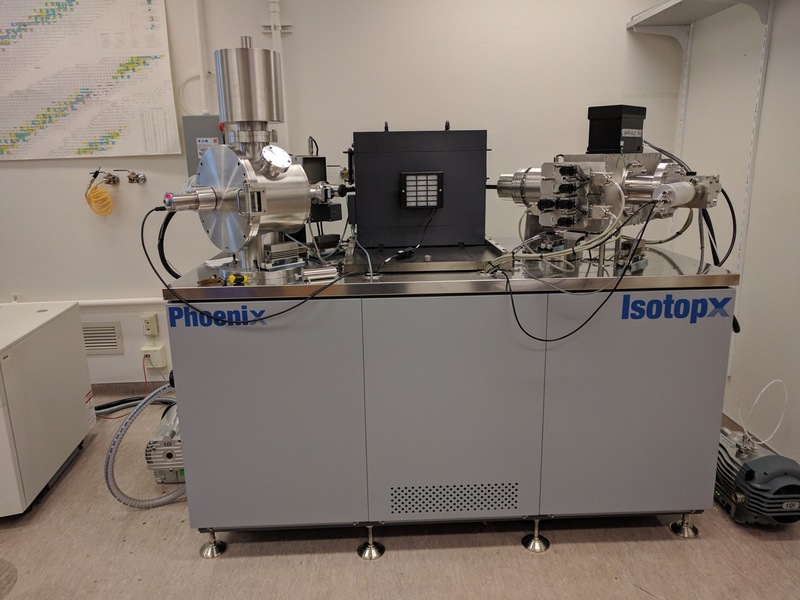 In 2016, the lab acquired a Isotopx Phoenix x64 TIMS. Additional instrumental upgrades and an expansion in lab capabilities are funded for 2017. The newest addition to the W.M. Keck lab is the Isotopx Phoenix x62 TIMS. It features a nine (eight moveable) Faraday collector array and a Daly ion counting system. We have amplifier boards with both 1011 and 1012 Ω resistors that allows a very large dynamic range on the Faradays. Our typical use is high precision U-Pb geochronological studies and Sr isotopes of low concentration samples. We also operate a VG Sector 54 TIMS- a fully-automated, nine Faraday collector array equipped with a WARP filter and an ion counting Daly. 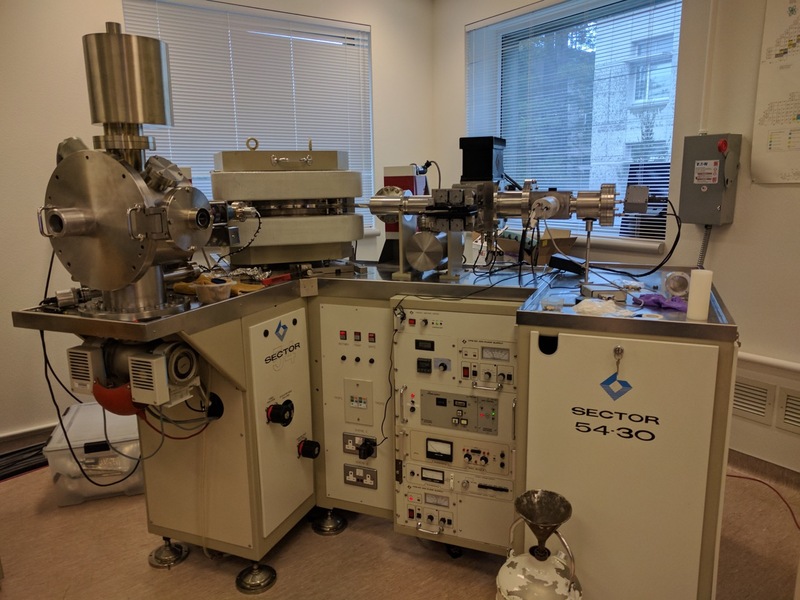 This instrument is typically used for Rb-Sr, Sm-Nd, Pb, U, Th, Ra and Ca isotope measurements. The Sector 54 has been recently upgraded to ensure continued high precision performance. The Neptune (MC-ICP-MS) was acquired in 2003 through a grant from W.M. Keck foundation. 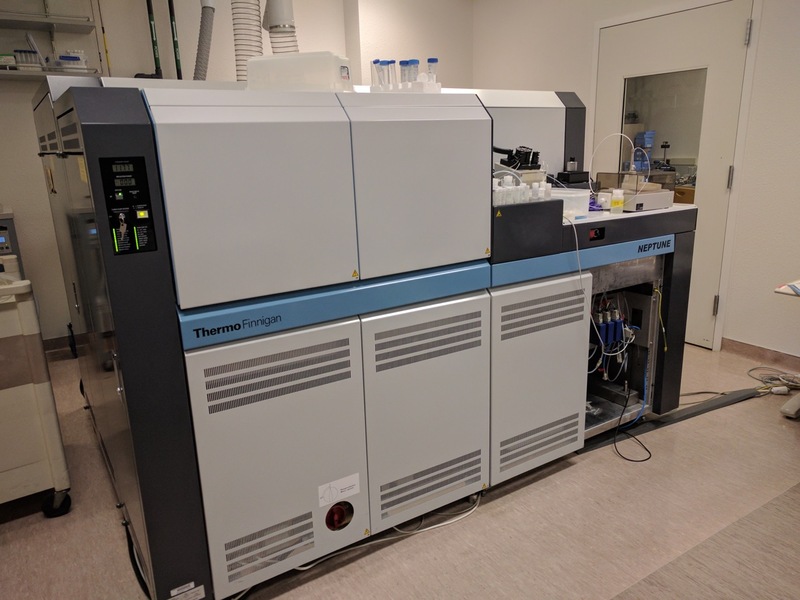 It is a multiple collector inductively coupled plasma mass spectrometer (MC-ICP-MS) equipped with nine Faraday collectors and an ion counter located behind an RPQ filter to give high abundance senstivity. The Neptune offers high precision isotope measurements for almost all elements in the periodic table. The instrument is typically used for Pb, Nd, Hf, U, Th, Fe, Cr and Mo isotope analyses. 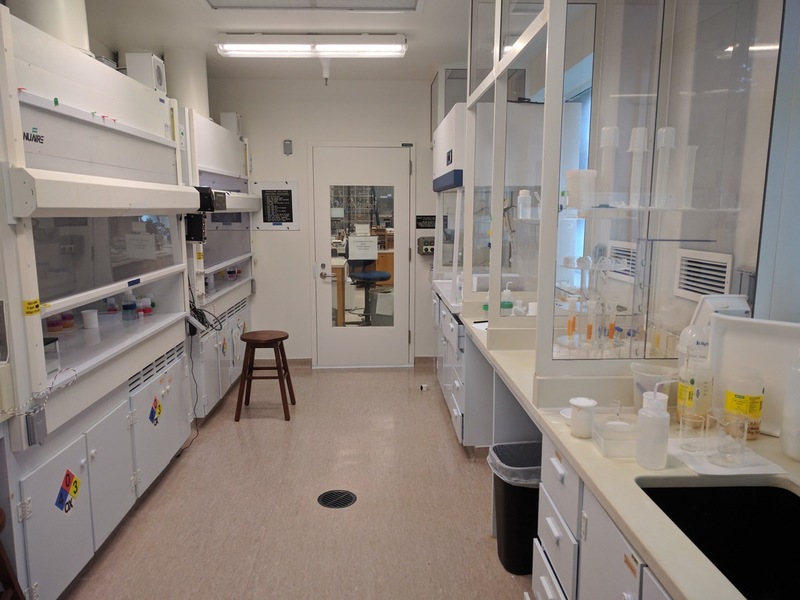 Chemistry facilities include a 1000 square foot, Class 1000 clean lab with separate rooms for cleaning, dissolution and acid preparation, Sr-Nd-Pb-Hf separations, and U-Th-Ra-Pa separations. Facilities are also available for single zircon analysis using the mineral separation lab equipped with a Leica binocular microscope also housed within the laboratory suite. Principal users are Blackburn, Paytan, Koch, Hourigan and their respective students. and their respective students and colleagues. Projects covering earth sciences, marine sciences, ecology, environmental toxicology and science, biogeochemistry, and archaeology frequently use the W.M. Keck Isotope Laboratory facilities for high precision isotope measurements. Non-UCSC scientists are invited to use the facilities. Please contact Brian Dreyer for more information about instrumentation, chemistry facilities use, and cost structure.